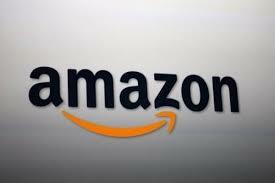 Amazon reported revenue of $17.09 billion in the third quarter but at the same time lost money in the process. The company’s investors were happy about the report. The third quarter revenue was up 24 percent and around $400 million more than estimates made by analysts. The high volume earned by Amazon was not enough to yield a profit. The company lost $41 million or 9 cents per share. The losses were at par with the estimates made by analysts. After the release of the report, the stock went up $29 to $361 in after-hours trading. Since 2008, the stock is up almost ten times. Amazon has been the object of several debates concerning the company’s investment in warehouses and new ventures that don’t bring profits. The company has built an unassailable position as the most vital retailer in the United States. The critics point to things, such as the increase in the free shipping minimum to $35 from $25, as indicators that the company must focus on its bottom line. The online retail giant predicted that revenue in the third quarter would increase 12 to 24 percent. The results came in the top of the range. For losses, the company got less compared to last year. Much of the poor showing in 2012 was connected to the investment in LivingSocial, which is a daily deals web site. Tom Szkutak, Amazon’s chief financial officer, told analysts at a conference call that he sees a steady acceleration of growth in North America since the last quarter of 2012. He didn’t give any details. He also said the company’s Prime shipping service is growing very fast. The results increased expectations for the fourth quarter. Amazon said sales might go up as little as 10 percent or 25 percent compared with the fourth quarter of 2012. Amazon warned it might lose money again.